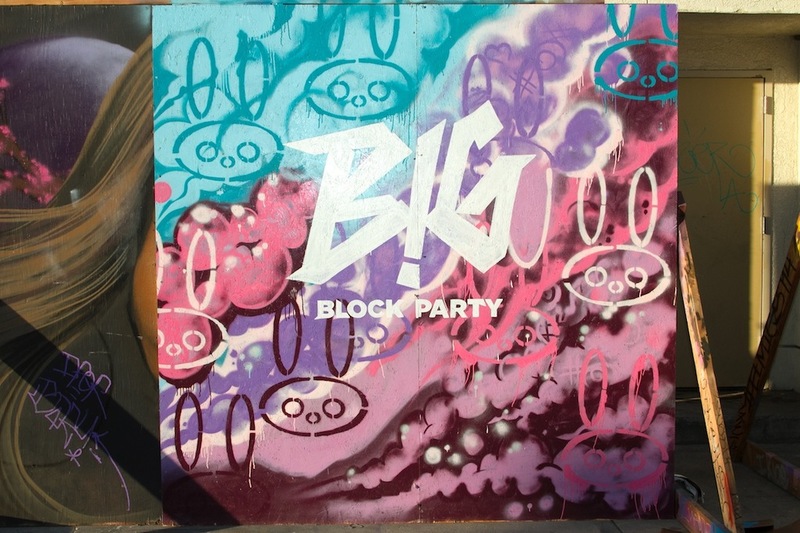 The BIG BLOCK PARTY is coming to DTSA. Brought to you by White Rabbit Group. Stay posted for more info. 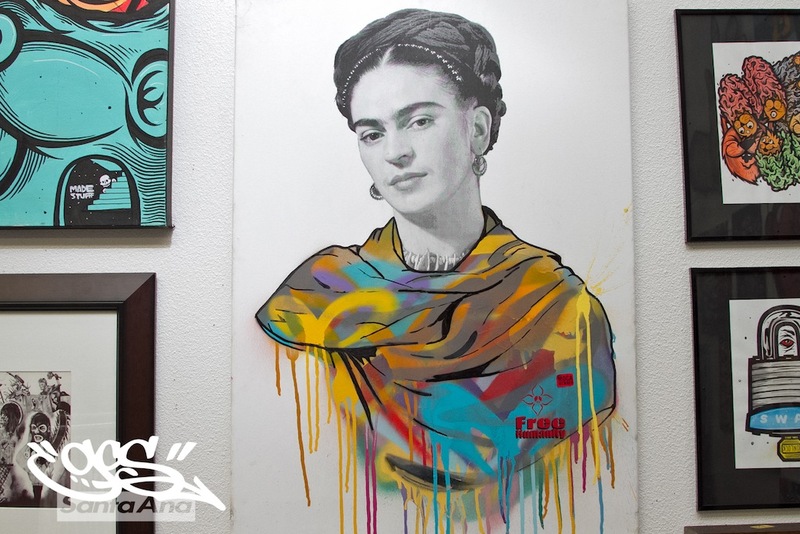 This mural created by Revival Sign Painting, Santa Ana. 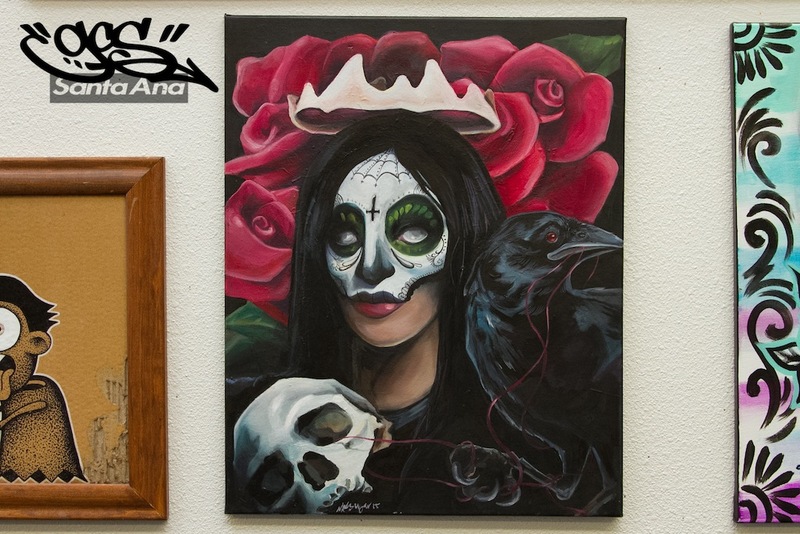 Before GCS and DTSA celebrated “Day of the Dead” and Art Walk.. KUESO blessed the alley with some of his art work for the MADESTUFFF solo show OCT 24th, 2015. Enjoy. 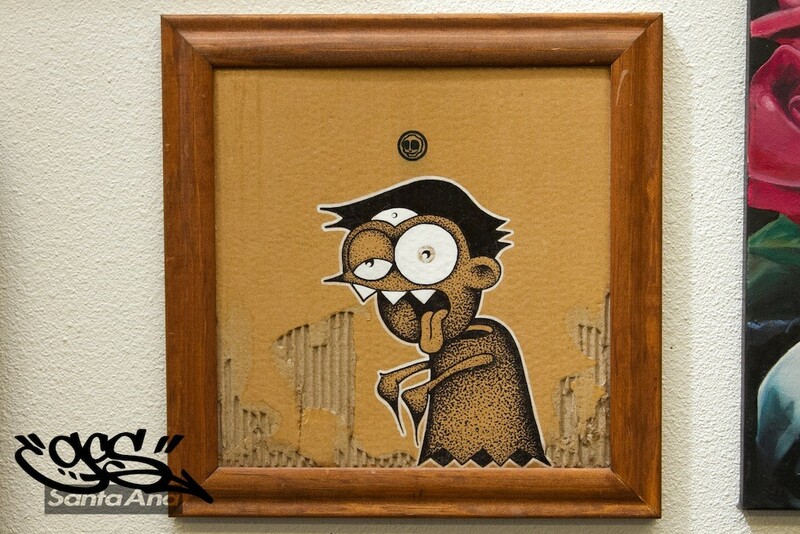 GCS would like to thank every single soul that blessed us with their presence this art walk. Your spirit is what keeps us going. Here are some of the sights from the gallery. Enjoy. 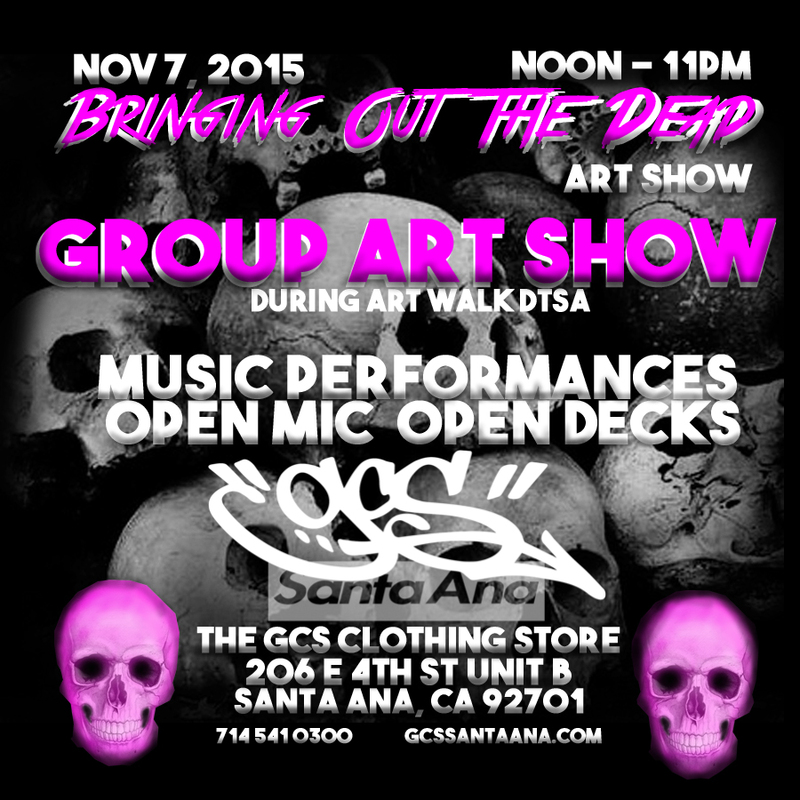 GCS would like to see you at “Bringing Out The Dead III” art show on NOV 7th, 2015. 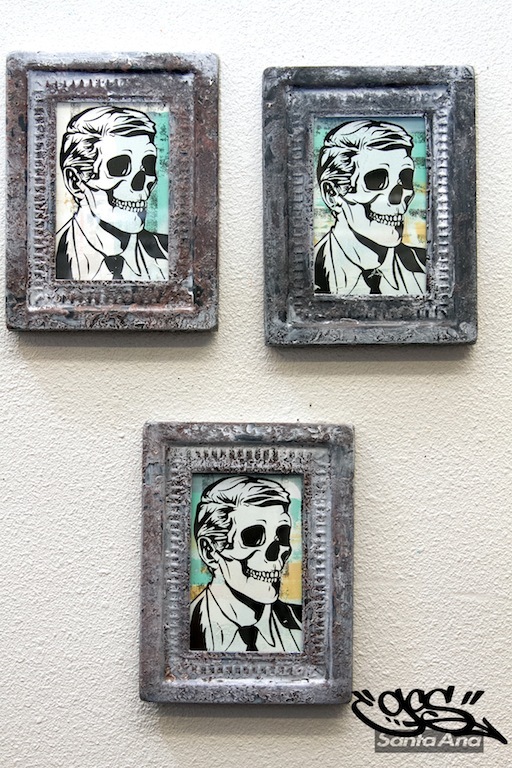 This marks the 3rd time we curated this day of the dead inspired art show. 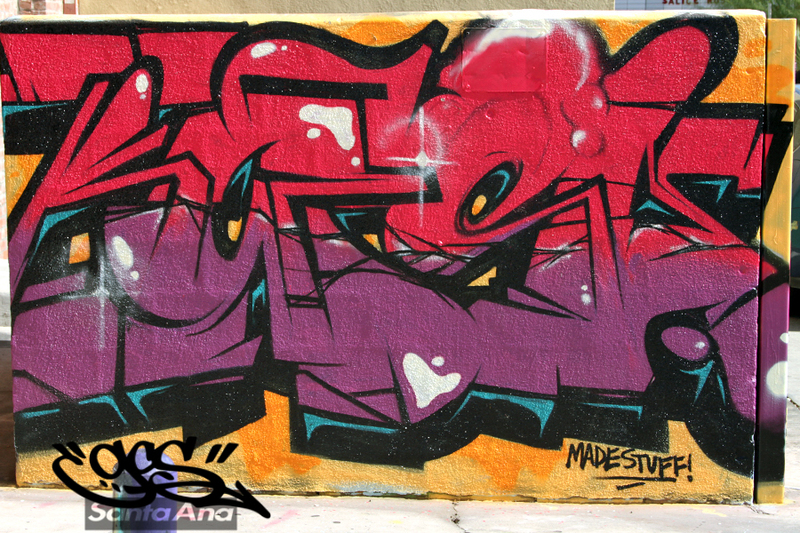 Not only is it 1st saturday art walk, but the Blading Cup, Beat Swap Meet and Block Party hits the streets of DTSA. So come early, because you know parking is going to be crazy. 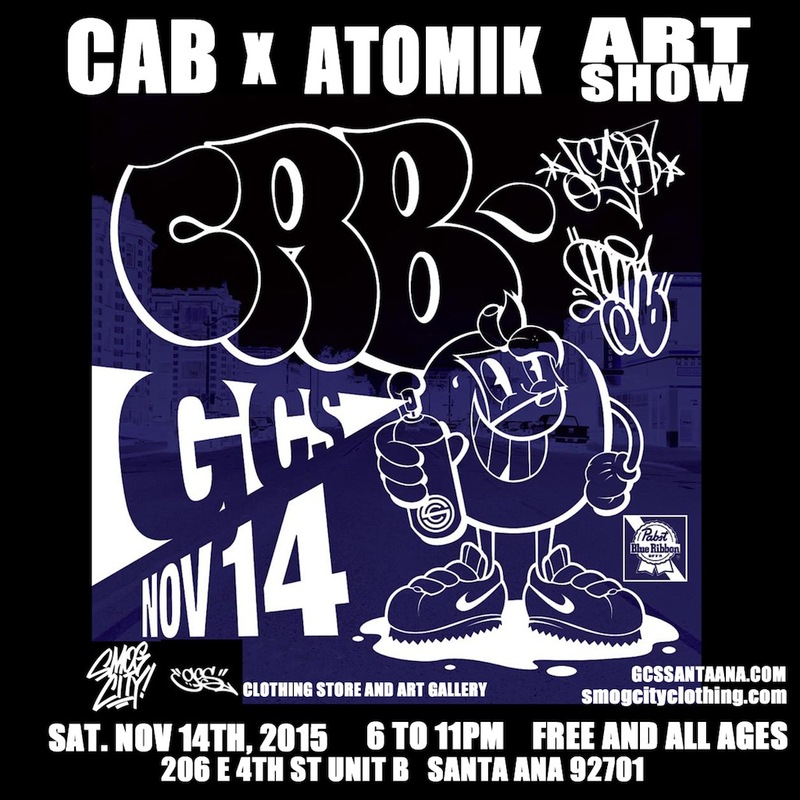 GCS Clothing Store and Art Gallery is proud to announce that we will host legendary artists ATOMIK and CAB for an art show brought to you by Smog City Clothing. This event is shaping up to be a very big show. Don’t miss your chance to meet these awesome artists. 6 to 11pm. free and all ages. 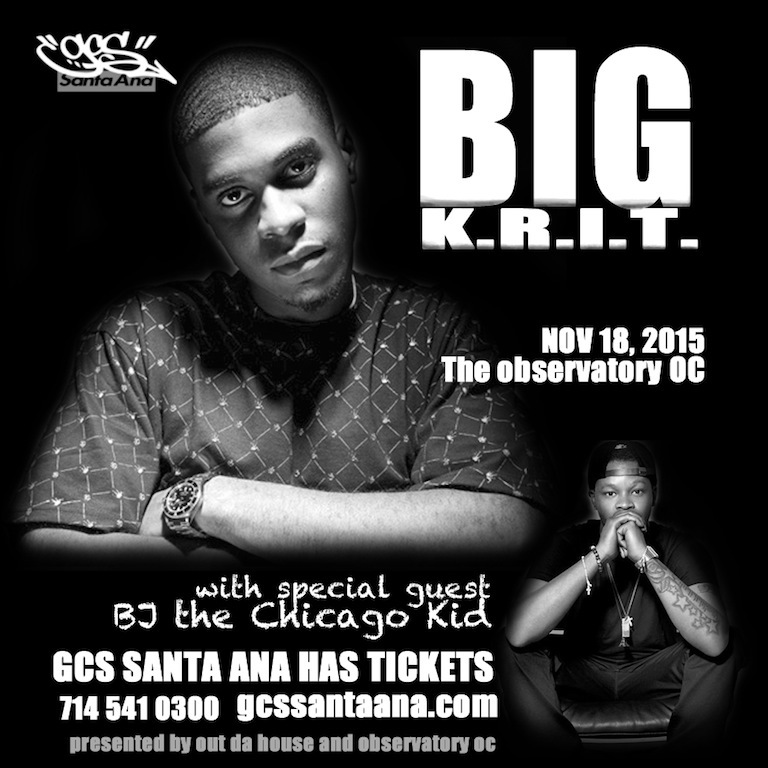 Another big show at the observatory… BIG K.R.I.T. and BJ the Chicago Kid NOV 18, 2015. Get your ticket at the shop today. 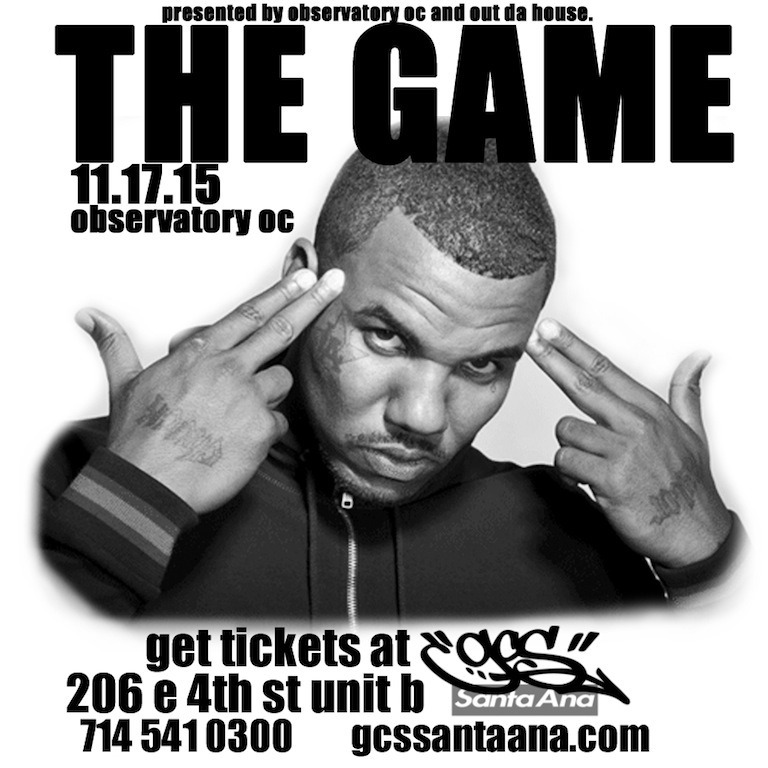 The Game hits The Observatory OC on NOV 17th. Get your ticket at the shop. Give us a call at 714 541 0300. Yeah! Nov 14th, 2015 is going to be a huge night. 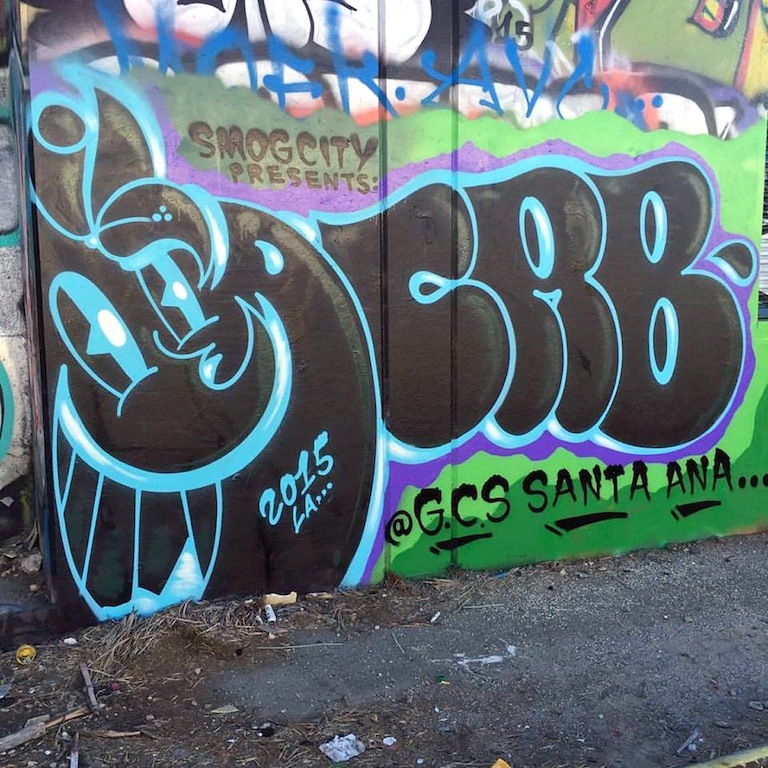 Not only are we hosting a great art show with ATOMIK and CAB presented by SMOG CITY clothing, and Sick Jacken and Ill Bill preforming at The Yost Theatre, but the first ever OUTPOST FEST will hit the streets of Downtown Santa Ana. Of course you can get your tickets here in the shop. So make sure you mark your calendars for the 14th. And get plenty of rest, its going to be a long day. 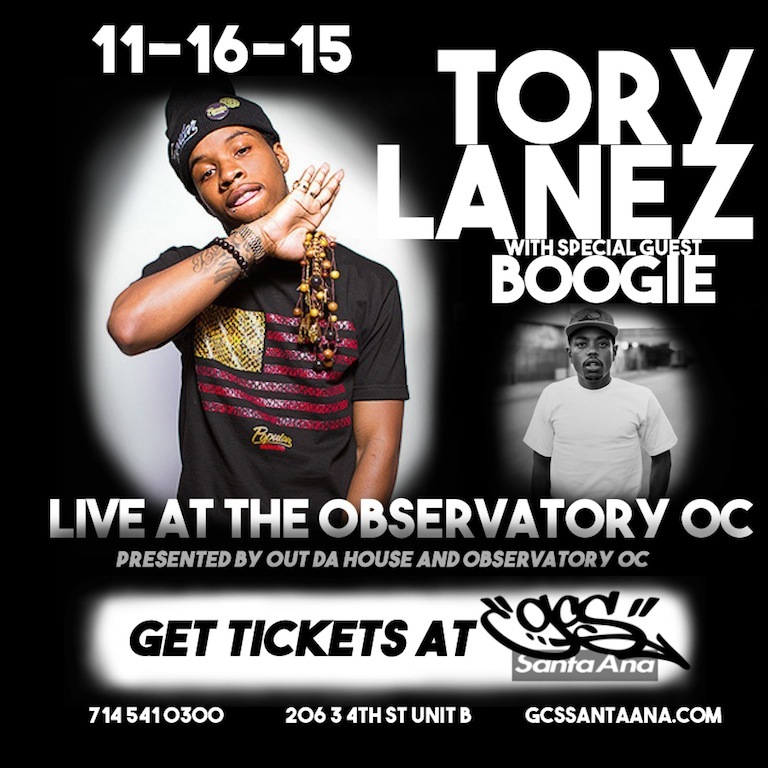 Tory Lanez with Special guest BOOGIE come to The Observatory NOV 16th. Looks like a good one. Of course we have tickets, is you crazy? 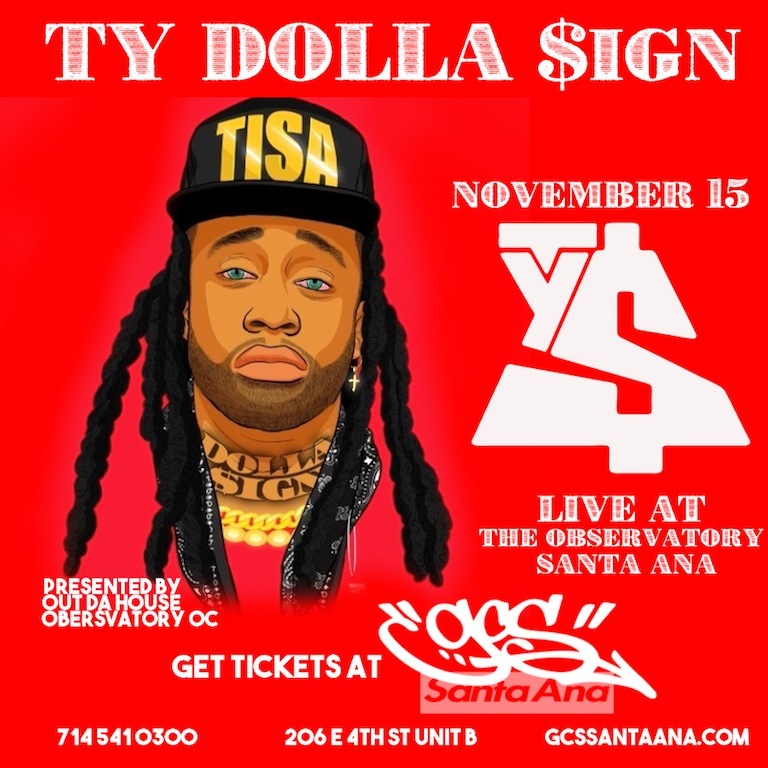 Ty Dolla $sign comes to The Observatory NOV 15th. It’s going to be crazy. We have tickets for sale. Come on in and get yours today. Looks like these guys are on the rise. 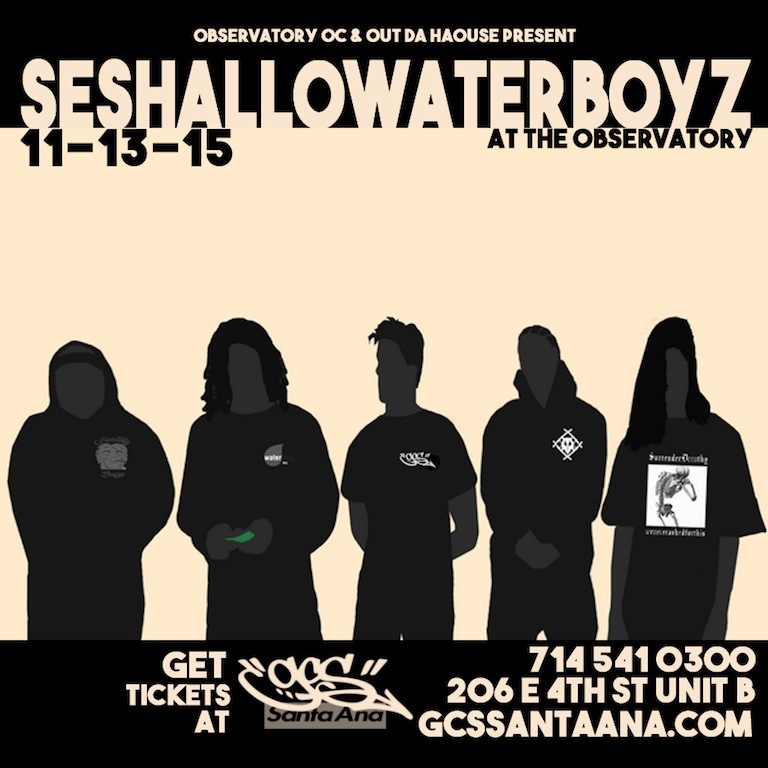 Don’t miss SESHALLOWATERBOYZ at The Observatory NOV 13th. We have your ticket to the show. 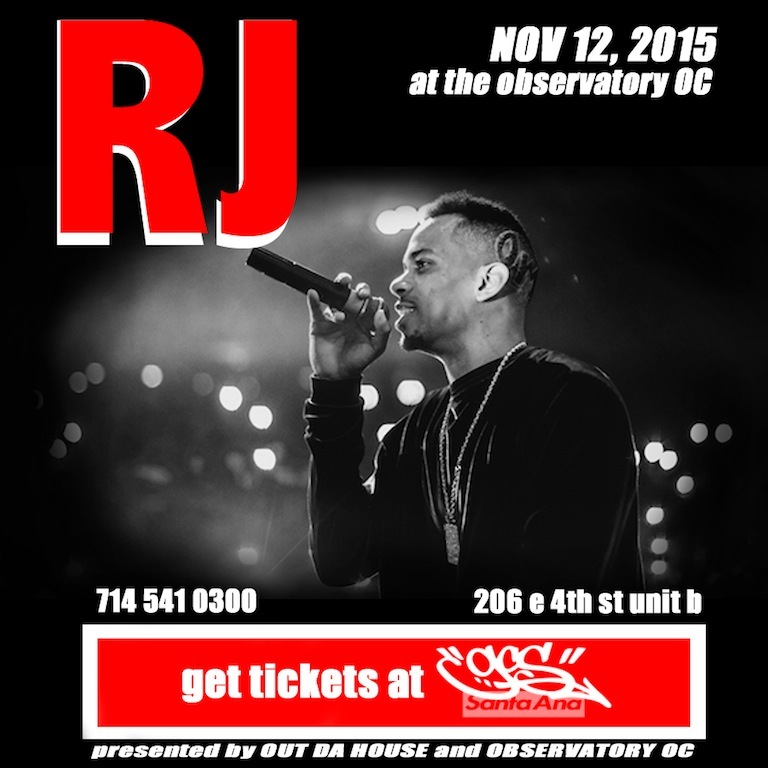 RJ makes his return to The Observatory NOV 12 for what should be another sold out show. Get your ticket before you get left out. .. and the hits keep coming to The Observatory OC. 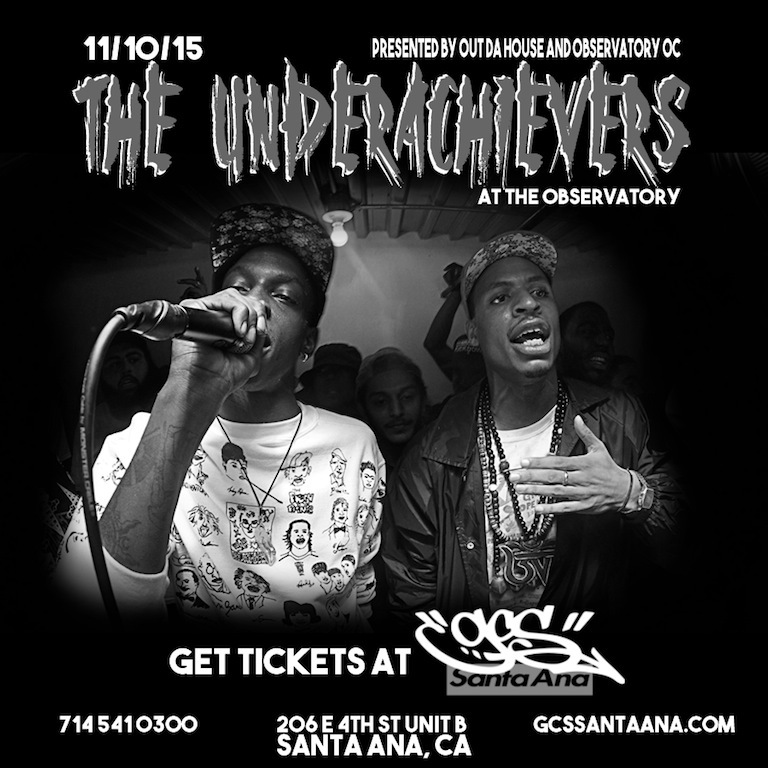 Catch The Underachievers live on NOV 10. We have your tickets at the shop, come on through. 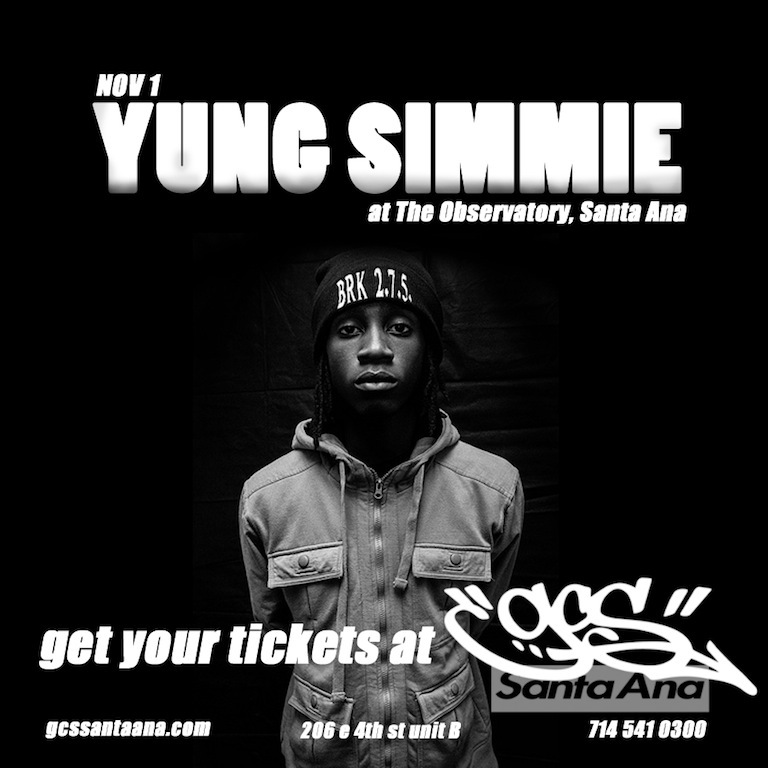 so who went to the YUNG SIMMIE SHOW? 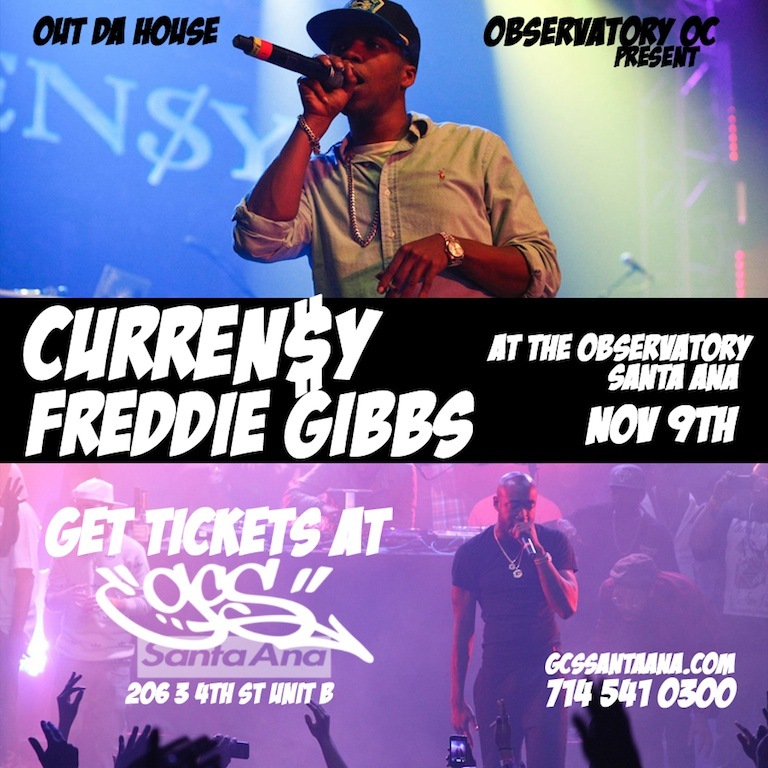 It’s never too late to post flyers… well I guess it can be late, but just wanted to ask Who went to the YUNG SIMMIE show..
Curren$y and Freddie Gibbs hit The Observatory stage on NOV 9th. 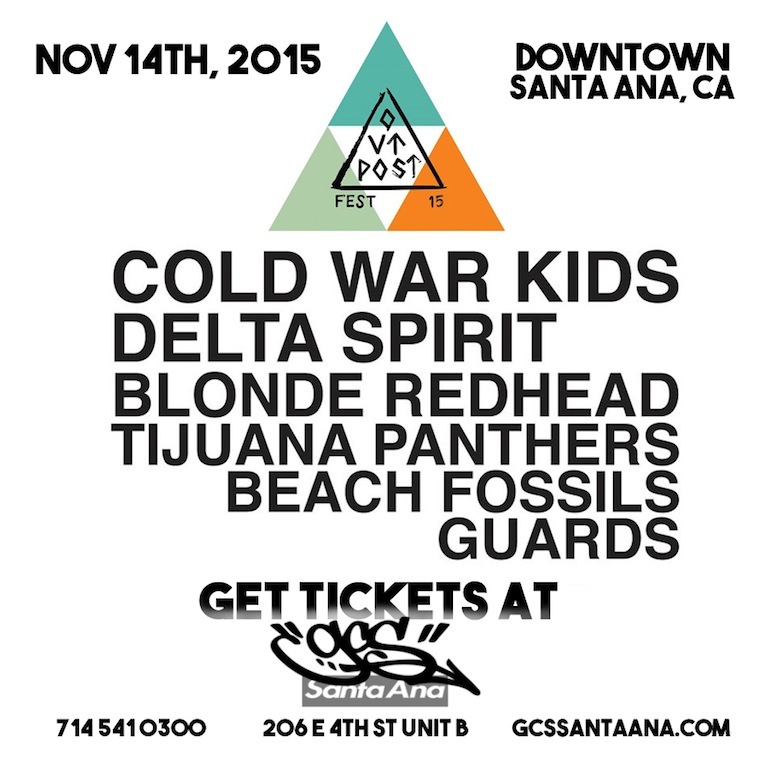 You can get your pre-sale ticket at the shop now. Come on by. 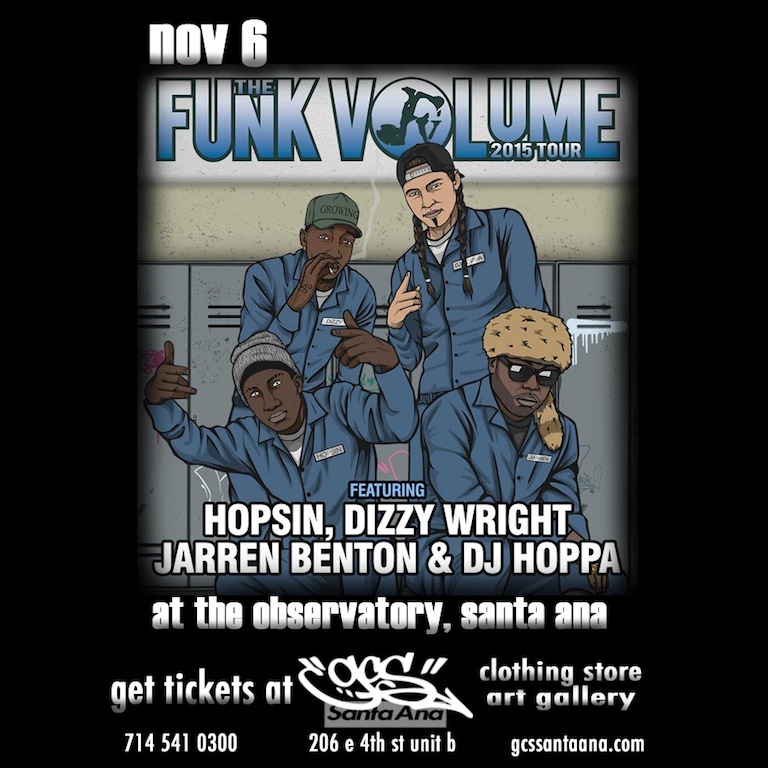 GCS Santa Ana has tickets to see Hopsin, Dizzy Wright, Jarren Benton and DJ Hoppa as they tour The Funk Volume Tour 2015 at The Observatory. Don’t miss out. As you know, GCS has always been a destination for pre-sale tickets. 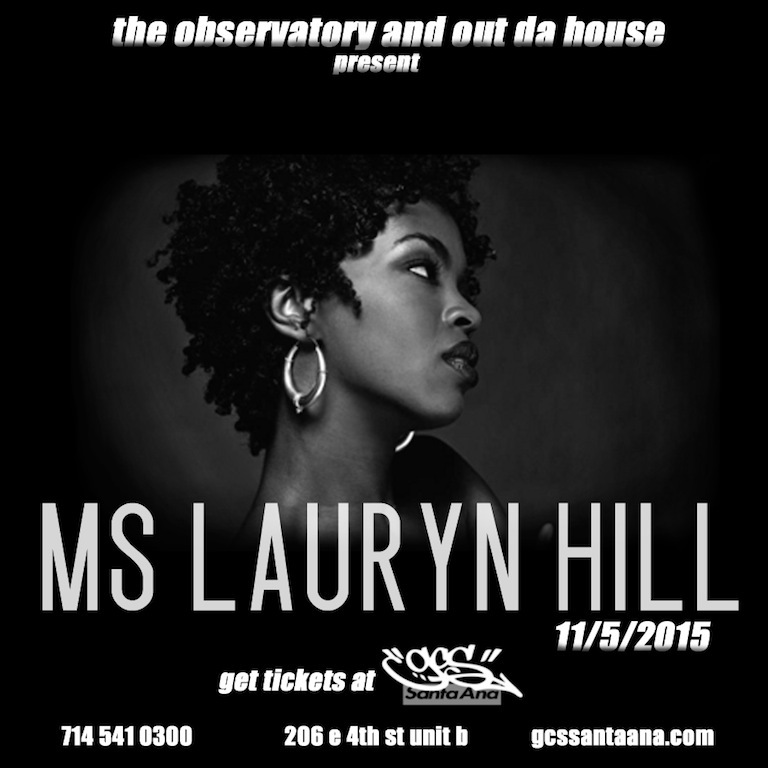 We now have tickets to see Ms. Lauryn Hill at The Observatory NOV 5th, 2015. Come in and get yours today.